Learn things you won't get in the classroom and experience things you wont get on a holiday. InSite is designed for secondary students and college students from age 14. We believe high expectations, and real responsibility given with support in real world issues leads to igniting passion and change for all who contribute. Gain service learning or CAS experience while gaining skills and adding value to the lives of others. InSite allowed me to challenge myself and do things I never thought I could do. It gave me more confidence and joy. InSite has helped me realise that a leader isn’t necessarily someone that always has to lead from the front. How to do InSite with your friends without wasting time. Check out our new format and see how we've upgraded your agency, involvement while keeping all the elements of a life-changing experience. 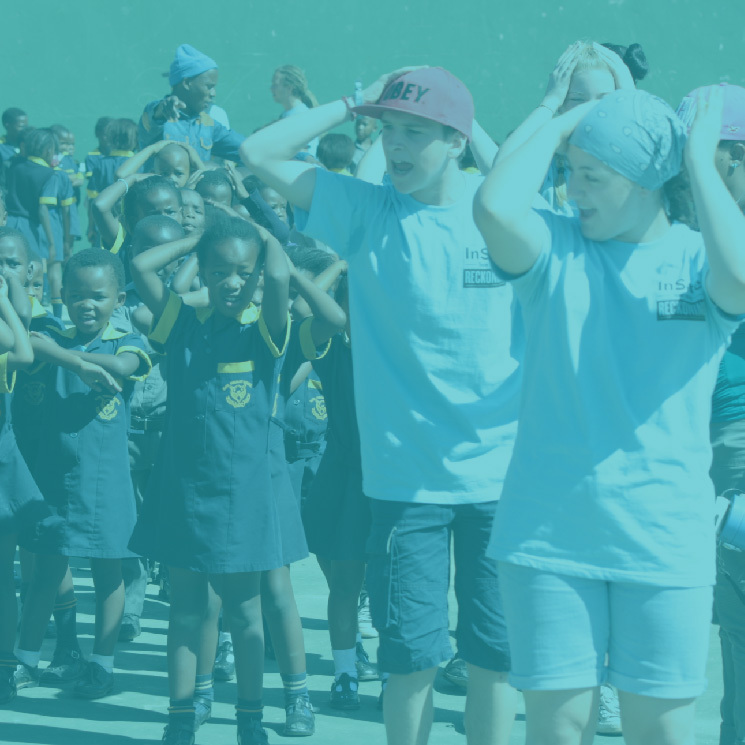 Travel with InSite to South Africa as we work alongside local communities for 10 days. We'll do all the arrangements so you can focus on the experience. There are 6 modules which are done in small group settings. This means you'll meet with one of the staff members and no more than ten InSite agents/ module. Each module is done over 4 weeks and the fifth Sunday is our Action Sunday where all InSite agents come together for a work project somewhere in Amsterdam. A certificate of completion is awarded for each module. Each module is about 4-6 hours with your small group, and Action Sunday is for about 5 hours. Your small group gets to decide how often you meet during the month. So, you have more flexibility and control over your time. What about fundraising tips and support? Traveling to Lethabong, Pretoria, South Africa during the May holiday, but the fun begins in September with optional online sessions on fundraising, resourcefulness and public speaking. Fundraising training: Some is done online with 1 Action Sunday where we do some of the foundational work together to get everyone prepared and excited. When do the modules start? The Modules begin in October and run up to our trip in May. Each Module is done over a 4 week period. A Sunday (*one Sunday in the Module), when all the agents of InSite come together for a service project, a team building action or a fundraising boost in the Amsterdam Area. Yes, these are part of the modules and you want to be there if you want to get your certificate of completion. (and it's good for CAS). *A calendar of the Sunday’s will be provided and we’ve selected the Sunday’s that will impact your academic deadlines the least. For students 15+ and older and willing to travel to locations of Action Sundays. Gain the skills and tools needed to be an effective leader, team player practice these skills in the real world. Our training combines the latest discoveries in positive psychology, leadership practices and design thinking strategies as we particiate in social justice issues. 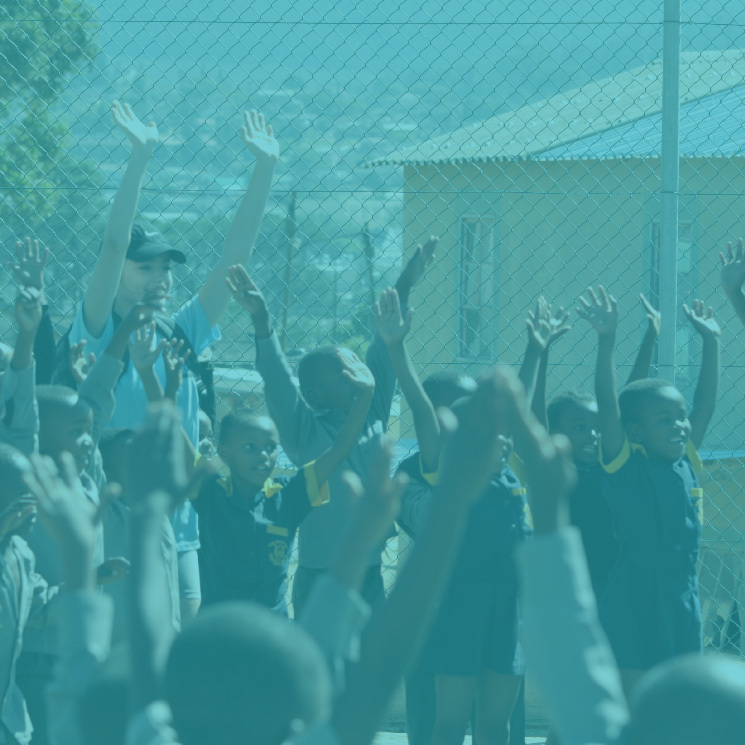 InSite joins our community partners in various locations either in refugee collection warehouses, refugee centers, or communities in South Africa. Wrap up your experience and learn how to tell your story in a creative format, communicating your biggest learning. Share with others how this experience changed you. Fundraising is more about authentic communication and sharing passion. Learn how to give a pitch, promote a cause you believe in and rally others around good causes. HOW TO BE ON THE TEAM? Approved applicants sign contract. Training fee paid. You’ll be on a team! What is it like to fundraise? InSite uses a. third party platform, pif world.com, for all it's projects. Each student creates a profile, and funnels all donors there. InSite participants do a number of things to help raise funds. Most students are a little scared at first, but we offer coaching, provide sessions on how to fundraise and give participants all the support needed to accomplish this goal. Learning how to give a pitch, raise awareness to social justice issues, and reaching a goal are all invaluable skills. Check out some of the student profiles on pifworld from past trips and see all the success stories. InSite participants raise funds to cover the costs incurred in traveling, lodging, food, projects, and all other expenses of the trip. We do our best to make this trip as affordable as possible to make this experience accessible for everyone. InSite takes care of all the arrangements so that the InSite participants can focus on the experiences presented. Why travel to volunteer, why not just send money? InSite is about cultivating everyday leadership in today's youth. It's easy to surf the internet and read about what is happening in the world. You can google images, read stories, watch videos of issues, injustices, etc. Somehow we think that money is what changes situations, but the lack of money isn't the problem in most cases. Social injustices are complicated, complex webs of unjust laws, systematic institutions and mindsets which are invisible but dictate the actions of people. Change comes with changes in mindset, changes in laws, changes in how things are done and how we treat one another. That can't be done on the internet. InSite takes participants to places, to communities so that mindsets are challenged, where people are challenged in how they see themselves and others, where circumstances and conditions open up new realities so that we all can create a more just world. Change comes through relationships. We need to rub up against others who are very different from ourselves, who pop our bubbles and assumptions and get us out of our comfort zones. Global leaders need to have experiences like this to truly lead us into the future. Sending money can't do this. Is it safe to travel to these places? InSite does travel to places like South Africa where it is known for being unsafe. Safety is the top concern and the top priority for our programs. When traveling, we have very strict guidelines that must be followed. We stay in places that are gated and locked at night. We travel as a team and no one is allowed to go anywhere alone. We have adult chaperones around at all times and students are not allowed to go anywhere without supervision. We hire drivers and have our local teams with us while we are out during the day. What is a typical day like on a cultural exchange trip? 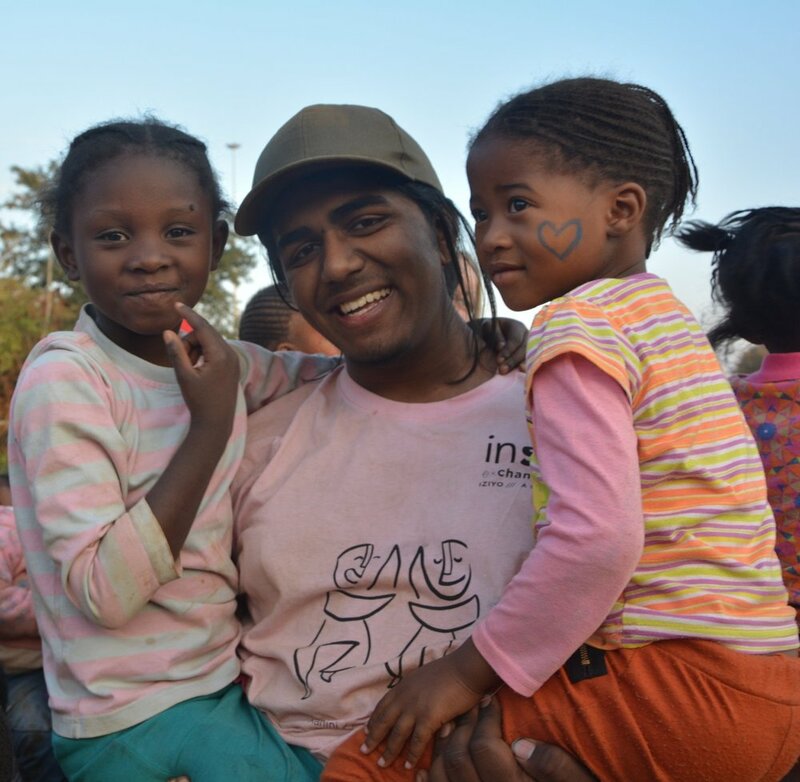 While in South Africa, InSite participants will participate in a number of different activities. During the training sessions, participants have prepared certain activities to do with the children in the communities we visit. Training sessions have also outlined community strengthening projects possibilities suggested by the community members themselves. A typical day would look like the following: mornings in the community doing community strengthening projects like painting homes, cementing floors, planting gardens, building a playground or anything else needed. We'd be helped by some of the local residents. After lunch offsite, we'd head back to the community and lead after school play program with the children in the community. The InSite participants will lead games and activities for about 2.5 hours/day. After dinner, we'd have a debrief of the day and some free time to swim in the pool, hang out in our place of lodging. Sometimes we might go out to eat, or go together as a group into town to shop and sight see. We will do some hikes, and camp for a weekend to give the participants a full experience of what life is like in South Africa. If you have a burning question that isn't answered on this website, please send us a message. Where InSite works in South Africa.